The charming Chalet Bouquetin provides cosy and comfortable accommodation for its guests in Plan Peisey in Les Arcs. Its wooden interior creates a warm atmosphere and there are plenty of comfortable seats around the glass fronted fireplace to ensure that you can spend your evenings feeling comfy, cosy and relaxed. The lounge and dining area is open plan and provides a sociable space for guests to spend their evenings together. 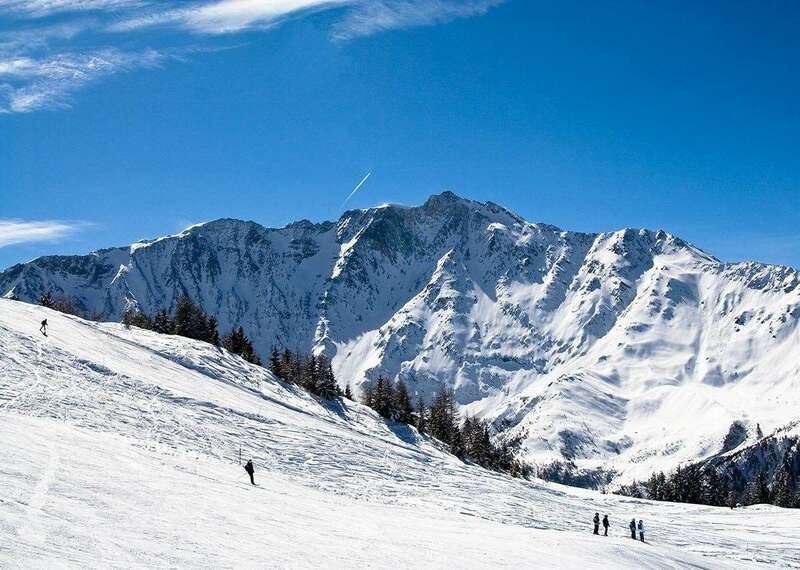 There are five bedrooms, each with en suite facilities, and the chalet can sleep up to 11 people, making this a perfect choice for groups who would like to stay together on their skiing trip. The chalet has access to a sauna for guests to be able to fully unwind after a day of fun on the slopes and there is a balcony with an absolutely amazing view over the Vanoise valley over to the Bellecote Glacier. Please note that to access this chalet from the road there are 94 steps to the Chalet Bouquetin front door, however this means that you have uninterrupted views of the Vanoise National Park. All rooms can take a cot, although room 4 can take 2 cots. Comfortable seating around the glass fronted fireplace. Chalet Bouquetin host lives in on the ground floor (separate entrance). All rooms can take a cot.